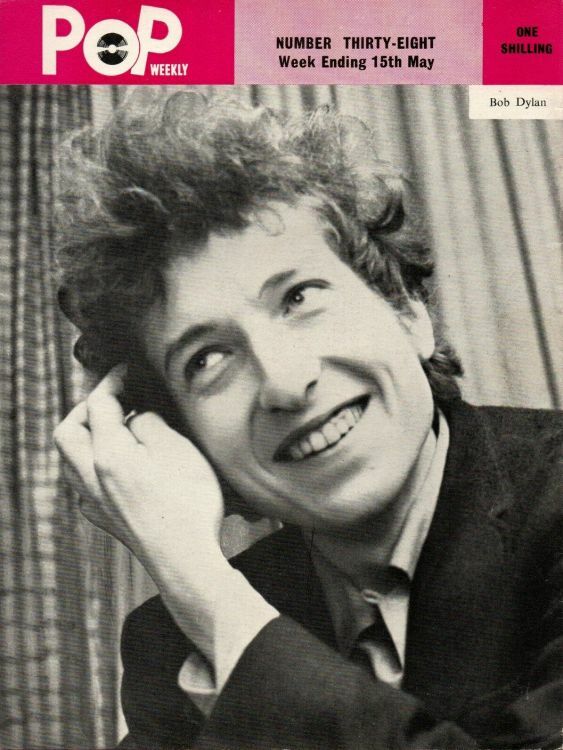 #39, 3rd year, 22 May 1965. 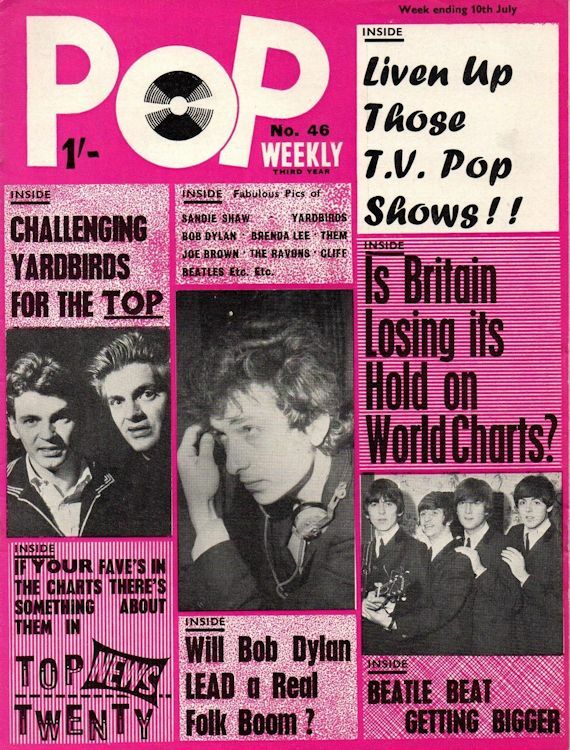 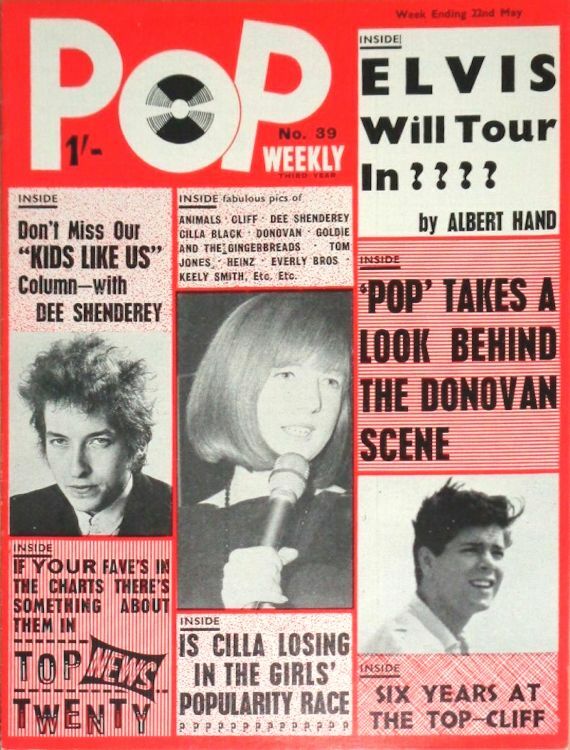 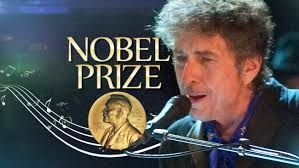 The small photo on the cover seems to be the only Dylan connection in this issue! 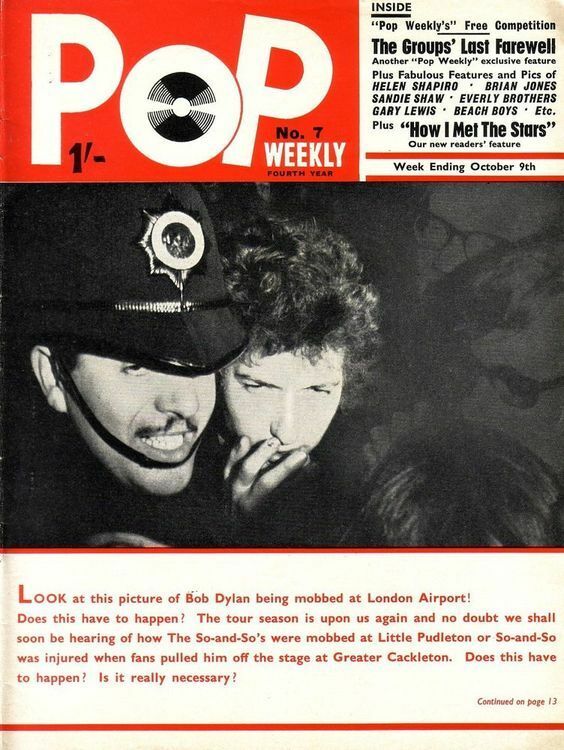 #7, 4th year, 9 October 1965, great photo showing Bob Dylan mobbed at London Airport.